Segment Overview: Dr. David Hanscom discusses problems associated with the treatment of chronic pain. He talks about a physician’s attitudes when it comes to dealing with patients who sometimes show no physical cause for actual pain. Neal: Hello, you’re listening to Health Professional Radio. Thank you for listening. I’m your host, Neal Howard. Many of us suffer from what is termed as ‘chronic pain.’ A pain that, well, sometimes debilitating – a pain that will not go away. It’s always there. Some of us are on drugs; some of us have had surgeries; are contemplating surgeries; some of us are going to chiropractors and all sort of things in order to alleviate this chronic pain. This pain that we have to live with in our day to day lives. Our guest in studio today is Dr. David Hanscom. 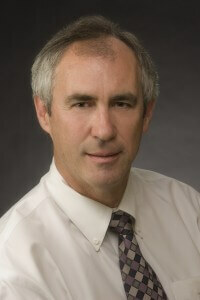 He’s a certified Orthopedic surgeon specializing in complex spine problems in all areas of the spine. And his areas of expertise is in adult and pediatric spinal conditions such as scoliosis. He’s also the author of “Back in Control: A Spine Surgeons Roadmap out of Chronic Pain.” How are you doing today Dr. Hanscom?